There is no underestimating the value of a lowered voice. 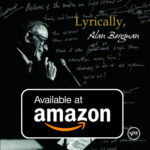 To hear Alan Bergman murmur lyrics that Barbra Streisand, Tony Bennett and Neil Diamond have passionately declaimed is to rediscover movie songs divested of red-carpet glitter and dressed in street clothes. Ms. Streisand’s high-strung renditions of “The Way We Were,” “How Do You Keep the Music Playing?,” “You Donπt Bring Me Flowers” and “What Are You Doing the Rest of Your Life?” may be the definitive, weepy, show-stopping interpretations. 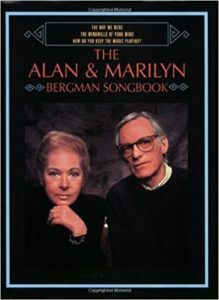 But as Mr. Bergman, who wrote those songs’ lyrics with his wife, Marilyn, shows in his quiet, ruminative readings, emotional balance and wisdom lurk below the Sturm und Drang.